Avoid 'Content Theft' in blogger blogs by disabling copy and paste function. Nowadays, Content Theft is one thing that has become very common in blogging. One thing is to have an idea, research and make findings, write them down on your blog and another thing is to get people to read them on your blog. It is very painful and annoying to see posts that you are their original author on other websites exactly how you composed them without an appropriate acknowledgement. Sometimes, your content might rank better on search engines on other websites and blog than it does on your blog and this is something you probably do not want. So, here is a simple technique. You just need to copy the following code and paste it in your blogger blog. Here is how you can do it by yourself. Step 5: Paste below code and save your template/theme. That is all about disabling copy and paste on blogger blogs. I hope this post helped you to achieve your aim. You can request for assistance in the comment section below or email me directly by using Contact Form. 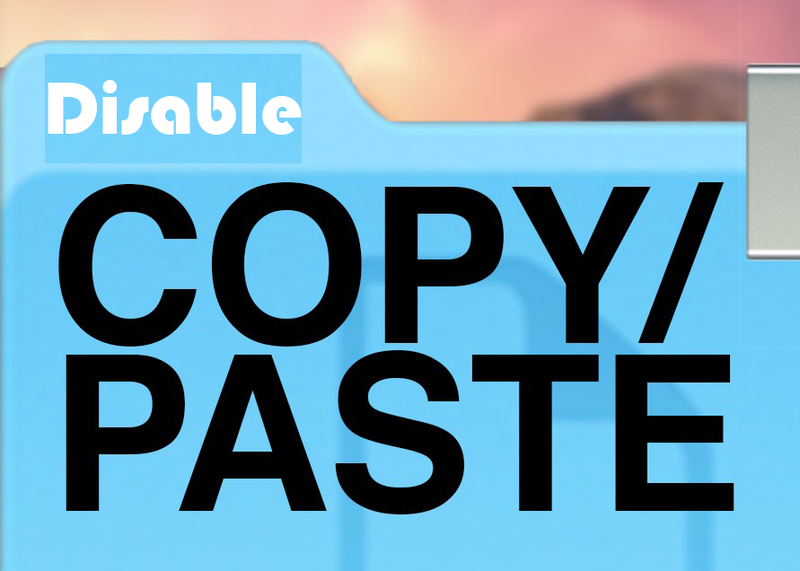 0 Response to "How To Disable Copy-Paste Function In Blogger Blogs"